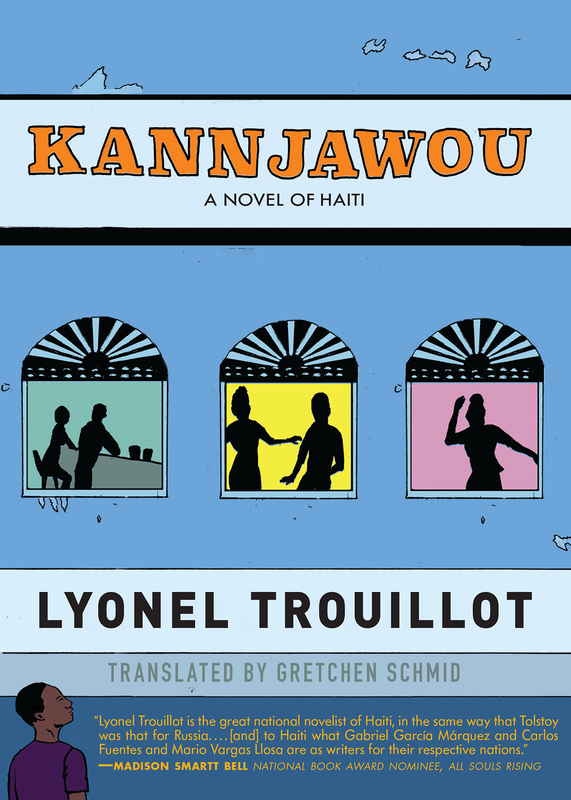 Lyonel Trouillot is a novelist and poet in French and Haitian Creole, as well as a journalist and professor of French and Creole literature in Port-au-Prince. In addition to publishing poetry, he also writes song lyrics for such musical artists as Tambou Libète and Manno Charlemagne. Trouillot is a co-editor of the journal Cahiers du Vendredi, and along with his sister Evelyne Trouillat and her daughter Nadève Ménard, he founded the writers organization Pré-Texte. In 2014 he co-wrote, with Raoul Peck and Pascal Bonitzer, the script for Peck's feature film Murder in Pacot. Trouillot was made a Chevalier des Arts et des Lettres in 2010. For his novel La Belle Amour humaine, he was awarded the Grand Prix du Roman Métis (2011), the Geneva Book Fair Literary Prize (2012), and the Gitanjali Literary Prize (2012). Having lived in exile in Miami for several years, he has now returned to Haiti and lives in Port-au-Prince.